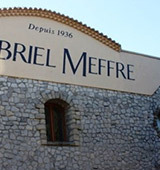 The nose is delicate aromas of stone fruit, spice and hazelnut aromas, with a touch of spicy oak. 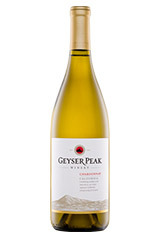 The palate of this bright and elegant medium bodied Chardonnay exhibits a creamy texture with soft acidity and a lingering finish. Pale yellow, with bright hints of green. A fine, persistent and abundant sparkle lifting to a good crown. Fine, delicate aromas, combining tones of green apple and pear, with light resonances of Mediterranean fruits - peach, melon and pineapple, over a base of citrus, all beautifully balanced by light toasty aromas from bottle maturation. 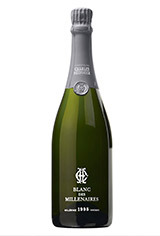 The palate is refreshing, the sparkle balancing the green and citrus fruits. It is light but long and elegant. 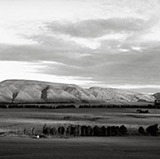 The juice for the Rosé was syphoned from the Pinot Noir cool soak prior to fermentation once the colour and flavour had reached the perfect intensity for this style. Light pink with a hint of orange in colour. 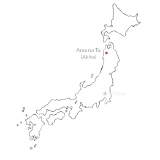 Floral aromas of strawberry and cherries. 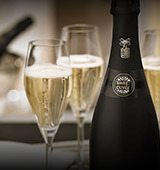 The palate conveys strawberries and cream with a lovely dry finish. A lovely aperitif or enjoy with Summer salads and seafood. 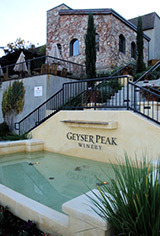 Geyser Peak is one of California’s oldest and most renowned wineries, founded in 1880 by Augustus Quitzow, a pioneer in Alexander Valley winemaking. 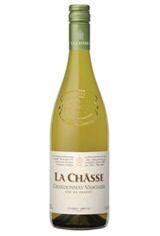 This Chardonnay delivers a light oak aroma, leading to a smoky caramel note. 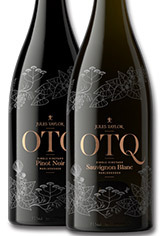 The palate is ripe and crisp with creamy pear, fig and melon as well as honeysuckle and green apple. 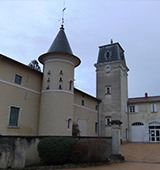 The undisputed King of Beaujolais is Georges Duboeuf, who started by roaming the region in his VW back in the sixties, making wine wherever he stopped. The Beaujolais Village is a purple-magenta, with bright ruby hues. Filled with red strawberry and cherry notes, fruit driven with a touch of earth. 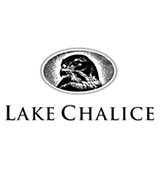 Bright and pleasant on the palate, this wine is light and smooth with good acidity and structure, finishing with medium tannins. 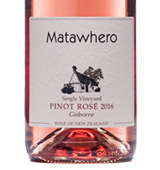 From one of Martinboroughs best producers comes their inaugural Rose, made from 100% Pinot Noir grapes, picked at optimal ripeness specifically for this wine. 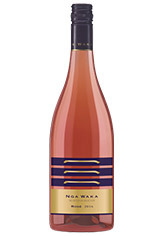 A beautiful pink blush colour with delicate flavours of cherry and strawberry backed by crisp acidity. Perfect for summer afternoon drinking. 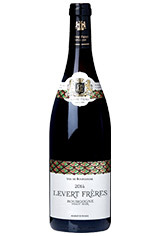 A classic Bourgogne Pinot Noir, the Levert Frere presents a cherry robe in colour with deep purple hints. 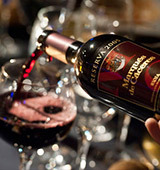 One the nose, the wine reveals notes of red berries with a touch of sweet spice. 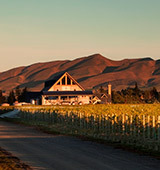 Complimented by a supple mouthfeel with light tannins, ending on notes of small red fruit. 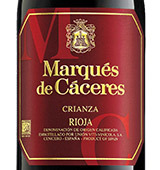 The wine makes a great partner to delicatessen meats, pork chops or grilled meat. 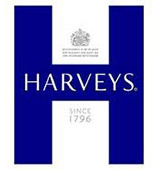 Founded in 1796, Harveys steadily grew in popularity and received a Royal Warrant in 1895. Since then it has continued its ascendance, becoming the No.1 Sherry Brand globally. 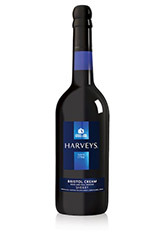 Harveys Bristol Cream contains a blend of over 30 selected Fino, Olorose, Amontillado and the special Pedro Ximenez grape. 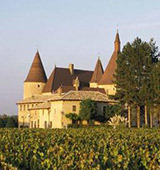 A deep golden colour, the sherry is full and fragrant, elegant and pungent. 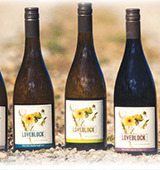 Full-bodied, rich, mellow, long lasting and velvety on the palate. 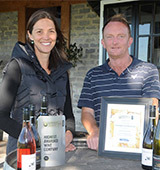 This trophy and gold winning Pinot Gris shows a pale green and yellow in the glass. 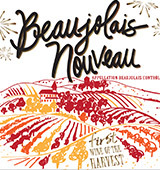 On the nose it presents aromas of crisp red apple, quine and a hint of nougat. 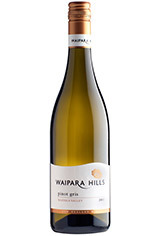 The palate delivers apple, pear and nougat, with a hint of ginger and crisp acidity. 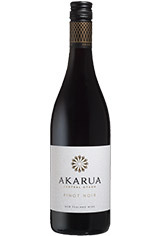 Akarua has won New Zealand International Wine Show Champion Pinot Noir, for the third consecutive year! Dark ruby red in colour, this wine displays fresh notes of red berries on the nose enriched by a depth of vanilla and sweet spice. 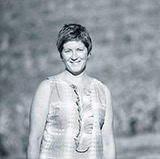 Clean and lively on tasting the ripe tannins that blend with balanced structure. 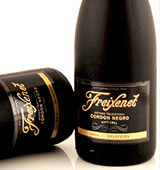 Fleshy in the mouth with delicious flavours, this is a wine of pleasure. 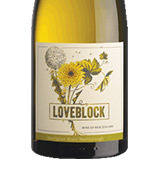 A gorgeous and versatile combination of the famous Chardonnay grape with aromatic Viognier. 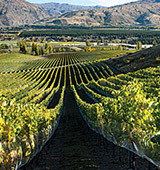 This wine displays ripe, exotic fruit and lemongrass aromas which are fresh and vivd. 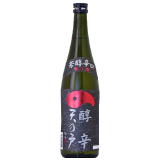 Harmonious and soft, it can be enjoyed on its own or with fish, seafood or white meat such as chicken. The colour of palest straw with hints of green. 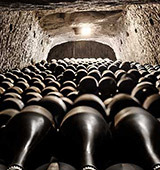 This wine has a restrained nose, with hints of citrus and honey, underscored by an inherent flintiness and developing aged Riesling characters. 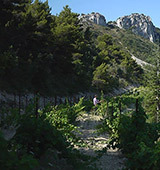 The palate is restrained with lemon and lime notes. The mid palate is warm with a hint of spice and a touch of honey. 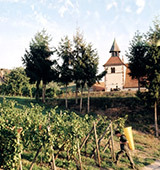 The wine ends with a crisp acidity and bone dry. A real Riesling drinkers Riesling. 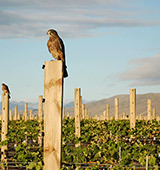 Sometimes you get very special grapes which make very special wines. And sometimes, just sometimes, you do’t tell anybody that youve got these special grapes and that youre going to make a very special wine. 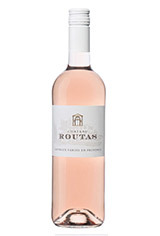 Rouviere Rose is the quintessential, estate-produced Rose, sourced from the carefully selected Rouviere designated vineyards on the property.